Thank you for visiting the Quality Roofing website. We hope it helped you learn more about our company and it’s services. Please use the form below to schedule an appointment for an estimate, request additional information or send us your comments. A company representative will respond to your request. 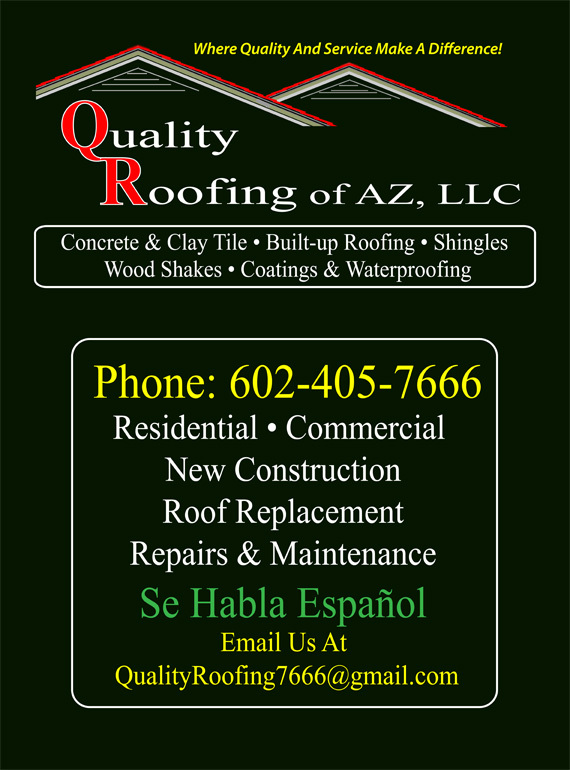 Your Arizona Roofing & Roof Repair Specialists!